Britain’s Tai Woffinden became world speedway champion last night, making him the first British winner since Mark Loram in 2000. 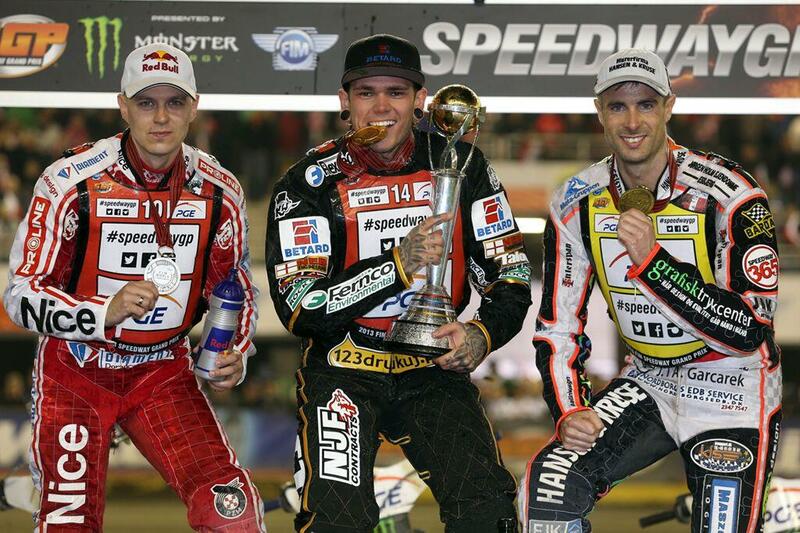 Woffinden, 23, arrived at the final Grand Prix of the 10-round season in Torun, Poland, with a healthy lead over home racer Jarek Hampel and needed six points to seal the world championship. He struggled to third place in the first of his scheduled five races, giving him one point, but then a win over Hampel in his next outing was enough to make him world champion. Woffinden was a rank outsider for the world championship at the start of the season and his rise from wild card to world champion has been astounding. He has been disciplined, determined and shown incredible mental and physical toughness to twice come back from broken collarbones without missing a GP. When he broke it for the second time, in Sweden last month, he carried on racing on the night to set up his famous win in the next round in Poland. Those people who believed in him include friends who had “£20 or £30 on me at the start of the season”. With his odds of being world champion rated at 500-1 at the time, they’ll now be reaping the rewards of their belief. Polish wild card Adrian Miedzinski won the GP in front of a 25,000 crowd at his home track in Torun, from American Greg Hancock and Hampel, who secured the silver medal in the world championship ahead of bronze medal man Niels-Kristian Iversen. It’s been a gruelling season in speedway. Defending world champion Chris Holder and title-chasing Russian Emil Sayfutdinov both had their 2013 seasons ended early by injury, Polish icon Tomasz Gollob suffered a broken back, Swede Andreas Jonsson missed rounds and Australian hotshot Darcy Ward sat out three GPs with a broken shoulder blade. With the possible exception of Jonsson, all are likely to be back in 2014 to give new champ Woffinden a run for his trophy.